If you love someone, tell them, because hearts are often broken by words that are left unspoken. 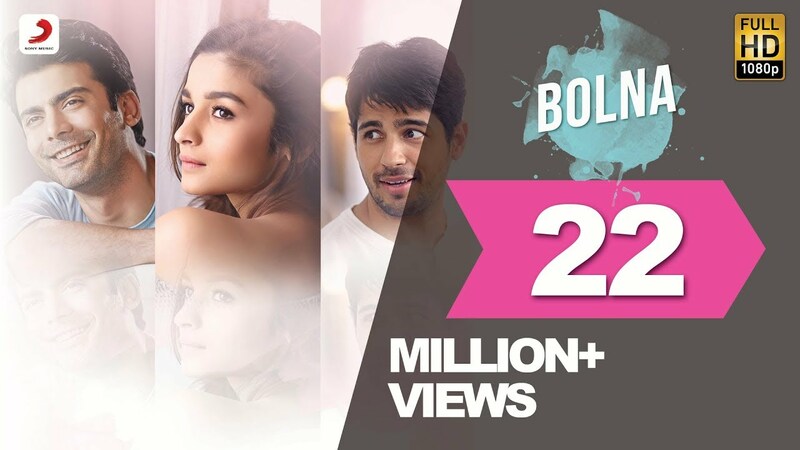 Here’s Bolna featuring Alia Bhatt, Sidharth Malhotra and Fawad Khan, from the upcoming film Kapoor & Sons (Since 1921). The song is sung in the soulful voices of Arijit Singh & Asees Kaur, the heartfelt lyrics which every person in love wishes to hear from their special someone are written by Dr. Devender Kafir, the melody is composed by Tanishk Bagchi. Experience love & longing with this love ballad of the year!